Labor Secretary Silvestre Bello III, chief government negotiator, said both parties are working on terms of the permanent ceasefire. There will be a meeting in Oslo, Norway on Dec. 26 to 29. “Our ceasefire committee will meet with their ceasefire committee to arrive at a consensus on the definition of terms and conditions that will cover the proposed joint permanent ceasefire,” Bello said on the sidelines of the state visit here. “If they agree on the definition of terms like what is considered a hostile act, or what, where is the buffer zone where their forces can get in or out and our forces can get in or out, and they can agree on who the referees are in case of violations, then we will be ready to sign a bilateral ceasefire,” Bello said. The details of the permanent ceasefire are now being drafted before another round of peace negotiations on Jan. 18 to 25. 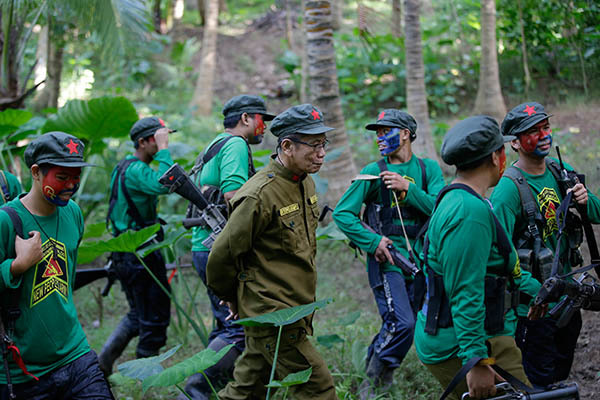 “Hopefully, if they agree, we may have to go on a special trip just for the signing of the joint bilateral permanent ceasefire,” Bello said. “I’m emphasizing the word permanent, because it could result in the end of hostilities, which is one of the main objectives of the peace process,” he said. On calls for the release of more prisoners, Bello said this should not be made a precondition of the peace agreement. He said the “old” and sickly political detainees have bigger chances of being released as part of the continued confidence building measures of the Duterte administration. National Security Adviser Hermogenes Esperon Jr. is also optimistic about the positive outcome of the peace talks. President Duterte had declared a unilateral ceasefire a few months ago to pave way for the peace talks. He even negotiated for the release from detention of NPA top leaders, including the Tiamzon couple. Meanwhile, suspected communist rebels torched an air-conditioned passenger bus in South Cotabato last Tuesday evening, the military reported yesterday. Capt. Marvin Gammad, Civil-Military Officer of the Army’s 27th Infantry Battalion, said the latest incident along the national highway at Purok Pioneer, Barangay Poblacion in Sto. Niño town was the fourth burning of the Yellow Bus Line (YBL) after the firm’s management refused to pay revolutionary taxes to the New People’s Army. “This is the fourth arson they have committed on YBL passenger buses since Nov. 13,” Gammad said, adding that the first two burning incidents happened in Kiamba, Sarangani and third was in Tantangan town, all in South Cotabato. Initial reports showed that the 35-seater air-conditioned bus with body No. 7225 was bound for Koronadal City from Isulan when six armed men posing as passengers introduced themselves as NPA rebels then ordered the bus driver to alter his route toward the municipal cemetery.